Text mining is a term related to analysis of natural language texts that assists us to obtain information or knowledge for various purposes. This talk reviews the state of the art on research and development in the natural language processing, particularly in Thai language. Including the characteristics of the language, rule-based and statistical approaches are discussed, and methodologies towards coping with the difficulties in processing subtasks are presented. With the growing availability and popularity of fact-oriented and/or opinion-rich resources, such as online news and online reviews, new opportunities and challenges arise as we can use text mining techniques to seek out and understand the opinions of others. Along with this trend, summarization in news documents and public hearing texts is described and the potentials are discussed. 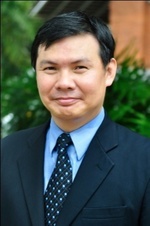 Thanaruk Theeramunkong is currently a professor at School of Information, Computer and Communication Technology at Sirindhorn International Institute of Technology (SIIT) at Thammasat University, Bangkok, Thailand. He is also the Program Director of Information and Communication Technology for Embedded Systems (ICTES) at TAIST Tokyo Tech, National Science and Technology Development Agency (NSTDA). He received his bachelor degree in Electric and Electronics Engineering, master and doctoral degrees in Computer Science from Tokyo Institute of Technology. He was a research associate at Japan Advanced Institute of Science and Technology in Japan and a MIS manager at C.P. Seven Eleven Public Co., Ltd. in Thailand. He got several awards, including the Very Good Research Award in engineering field from Thammasat University in 2008, 2009 and 2010. Recently, in 2014, he has received the National Outstanding Researcher Award in the field of Information Technology and Communication Arts. He also got several best paper awards from conferences and societies, including the Japanese Society for Artificial Intelligence, PAKDD workshops, and KICSS. In 2015, he also got a Gold Medal with the Congratulations of the Jury from the 43rd International Exhibition of Inventions of Geneva for the inventions of automatic semantic-based multi-document summarization and application to public hearing. His research interests are natural language processing, data mining, text mining, machine learning and applications to service science. He is also a member of the Steering Committee of the Pacific-Asia Conferences on Knowledge Discovery and Data Mining (PAKDD). He is an associate editor of the Institute of Electronics, Information and Communication Engineers (IEICE). He is the author of more than 40 papers in a number of journals with impact factors and more than 100 conference papers. Color signal can be expressed in many different ways, each with its advantage and drawbacks. Some representations are formulated to help humans select colors, such as the Munsell color system, and others are formulated to ease data processing in machines, such as RGB color space. The first half of this presentation, many color models for various applications are reviewed. Especially, hue-saturation-intensity (HSI) color space or hue-saturation-value (HSV) color space is important, since the HSI or HSV color space is close to human being’s perception to color and is closely related to Munsell color system. We introduce the advantage and drawbacks of conventional HSI and HSV color spaces. Furthermore, the improved HSI color space is introduced. The last half of this presentation, we introduce a lot of color image enhancement methods based on the histogram equalization or the differential histogram equalization. Since hue preserving is necessary for color image processing, intensity/saturation processing methods in HSI color space are reviewed. Next we show an intensity processing method while preserving hue and saturation in RGB color space. Only intensity value can be controlled by this method in RGB color space. Moreover, saturation processing method while preserving hue and intensity in RGB color space is shown. Finally we suggest the method to perform two enhancement methods in succession. It becomes able to perform the desired processing for intensity and saturation by the combination method which is carried out in RGB color space. Akira Taguchi received the B.E., M.E. and Dr. Eng. Degrees in electrical engineering from Keio University, Yokohama, in 1984, 1986, 1989 respectively. In 1989, he joined Musashi Institute Technology (the old name of Tokyo City University). 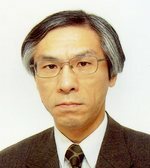 He is currently a Professor at the Department of Computer Science, Tokyo City University. From 1993 to 1994 he spent one year at the Signal Processing Laboratory, Tampere University, Finland as a visiting Researcher. His research interests are in the areas of digital image processing including nonlinear signal processing and color image processing. He served General Chair for IEEE ISPACS 2013. He is currently a Vice Chair of International Steering Committee of ISPACS. He is a senior member of IEEE and a fellow of IEICE.